There are some tourist attractions in New York that are totally worth it. 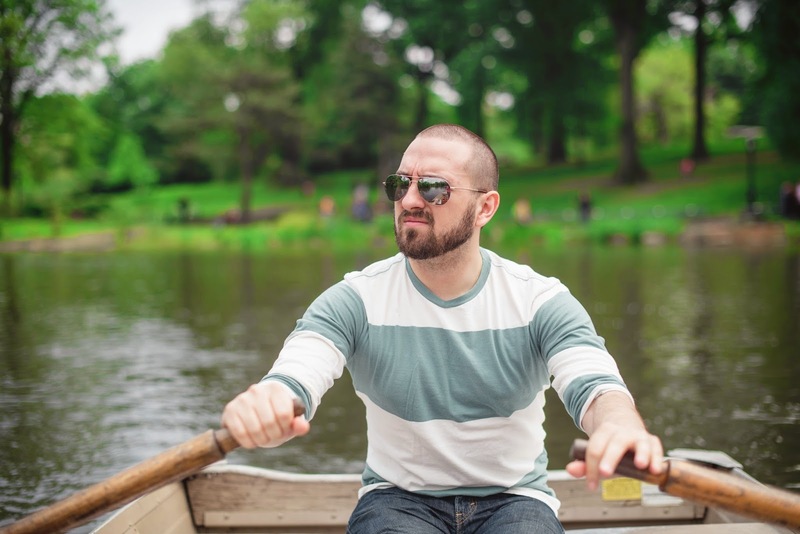 Renting a rowboat in Central Park is one of them. 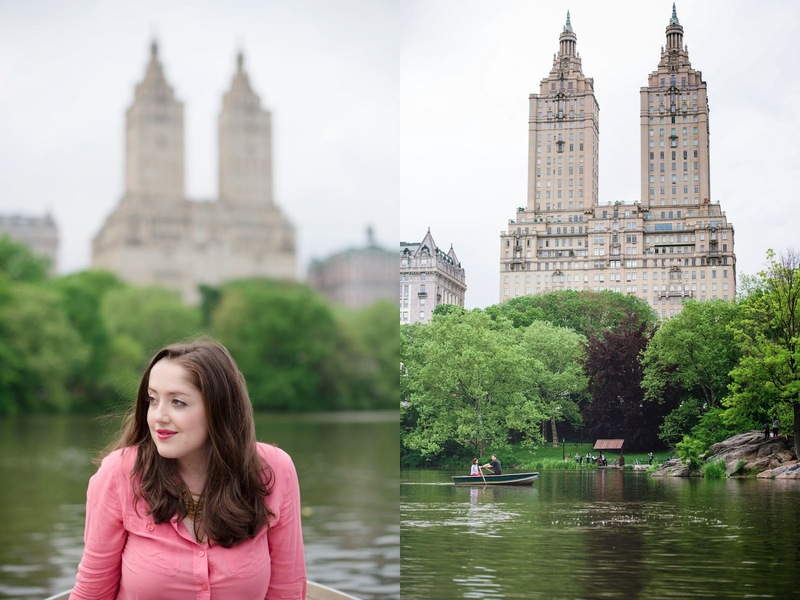 $15 enables you to enjoy a self-guided tour of Central Park Lake. 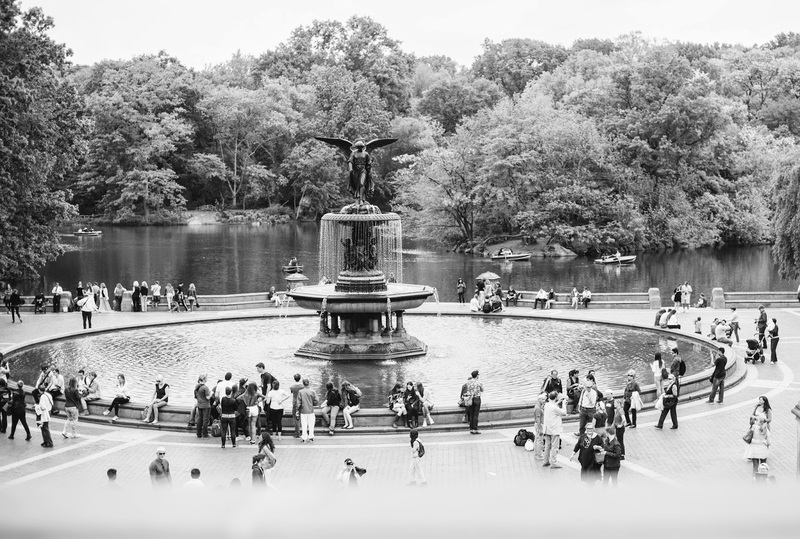 Rentals depart from the Loeb Boathouse and provide up-close and personal views of popular park attractions such as Bethesda Fountain (top) and the Bow Bridge, as well as plenty of wildlife (we noticed several sun-bathing turtles!). It also offers fantastic views of iconic NYC landmark, The San Remo (home to famous residents such as Steve Martin, Bono, Tiger Woods, Steven Spielberg, Dustin Hoffman, Bruce Willis, Glenn Close and Rita Hayworth, to name a few). Tiho did the majority of the rowing (chivalry ain't dead!) while I manned the camera. On the way back to the dock, we sat together in the center of the boat and each took an oar. 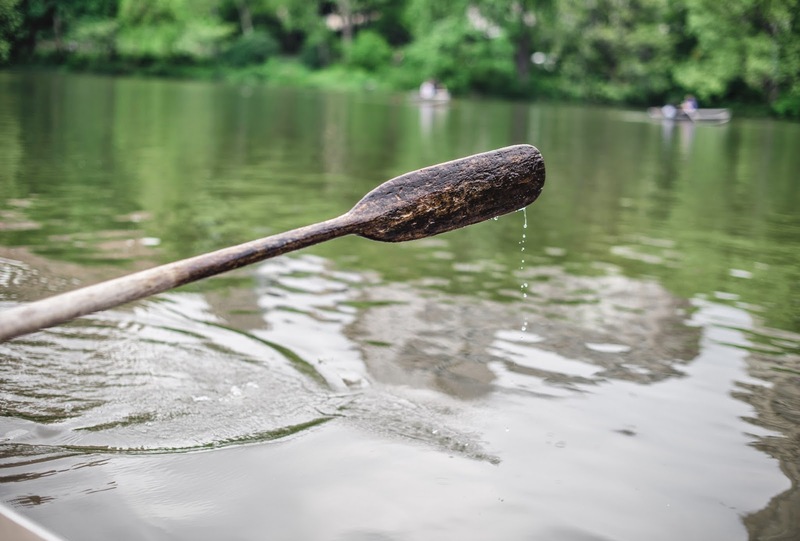 The hardest part was maintaining the same rhythm, though once we accomplished that, we wondered why we hadn't attempted joint-rowing the entire time. Whether you're local or a visitor, definitely add this one to your list. Make an afternoon of it with brunch (we headed to Sarabeth's on Central Park South). P.S. Another view of The San Remo, Sailing the Hudson, and our Brooklyn Bridge wedding kiss. Ohh hayyy new haircut and facial hair Tiho Piho.